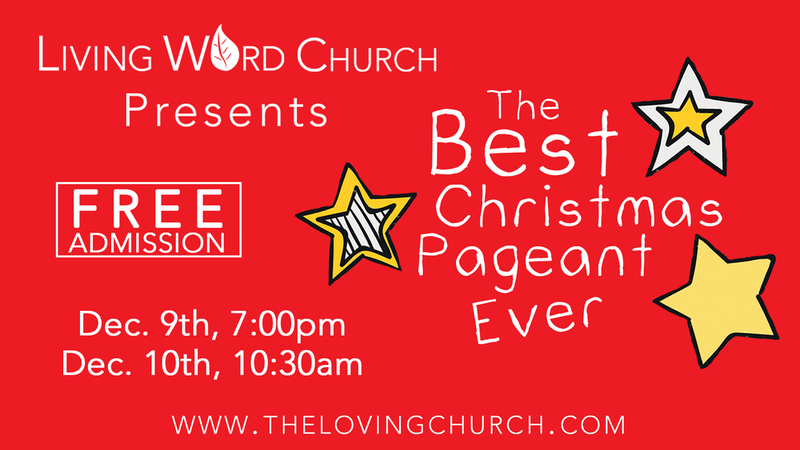 Living Word Church Theatre presents The Best Christmas Pageant Ever! There will be two performances on Saturday, December 9th at 7pm and Sunday, December 10th at 10:30am. Come join us for a fun family-friendly play with a great message! Admission is free.